Fellowship Previews: PLANTS VS. ZOMBIES Monthly Comic Series Coming From Dark Horse! 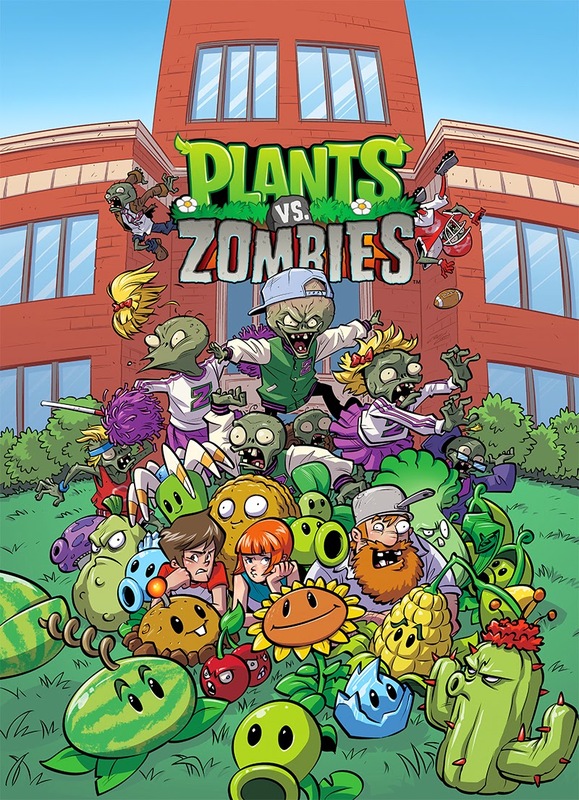 PLANTS VS. ZOMBIES Monthly Comic Series Coming From Dark Horse! With an all-ages Free Comic Book Day story right around the corner, Dark Horse Comics and PopCap Games are thrilled to announce Bully for You, a new, ongoing Plants vs. Zombies™ miniseries coming to comic shops, beginning in June! Eisner Award–winning writer Paul Tobin and artist Ron Chan join forces to uncover who’s really behind the mysterious Anti-Bully Squad. Nate, Patrice, and Crazy Dave investigate a strange college campus to keep the streets safe from zombies. And Dr. Zomboss’s crime-filled college years are revealed! This hilarious educational escapade also features two bonus stories illustrated by Dustin Nguyen (Batman: Li’l Gotham, Descender). Future issues will feature bonus strips by Peter Bagge, Jennifer Meyer, Karim Friha, Nneka Myers, and others!